In my many years of investigating serious fraud as a journalist, a recurring theme is how little in the form of criminal proceeds are recovered from perpetrators for distribution to their victims. Even when fraudsters are actually criminally prosecuted and convicted, which is rare in itself, it is rarer still for there to be any meaningful recovery of their assets. 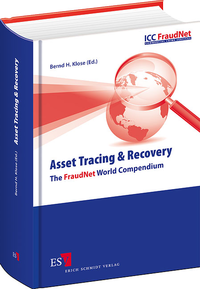 It does not have to be this way, however, and I am confident that you will find FraudNet's World Compendium "Asset Tracing & Recovery" a useful tool in educating you how to do things the right way so that you may meaningfully contribute to the ongoing fight by honest and hard-working people around the world to redress the enormous imbalance that currently exists between what is stolen and what is recovered. On a more sombre note, as an investigative journalist, witness the effects of serious fraud on a continual basis. I see the emotional devastation and misery that often accompanies a financial loss. It is not a pretty sight. None of us are immune from becoming a victim, including me.